Seton Hill accounting and business marketing major Emilee Janocko celebrated her 21st birthday with her fellow volunteers at the Westmoreland Community Action Volunteer Income Tax Assistance (VITA) tax site in downtown Greensburg. That hadn’t been the plan - she’d arrived at the office for a small party to celebrate the end of tax season. As soon as she arrived, however, she started getting cards, and it wasn’t long before her supervisor appeared with cupcakes bearing “21” candles. It was the perfect ending to an experience she’d begun with some trepidation. VITA is an IRS initiative that is coordinated locally through Westmoreland Community Action and the United Way of Southwestern Pa. It provides community members who need assistance in personal tax preparation with a place to meet with volunteers, who have been certified through the IRS to assist with tax preparation and filing. Seton Hill’s Accounting Program has been providing VITA with qualified volunteers for many years. (Associate Professor of Business Gary Hypes finds the IRS certification process so worthwhile he has all of the students in his Principles of Taxation course go through it even if they don’t intend to volunteer.) Seton Hill students who are participating in the project for internship credit devote at least 120 hours to helping prepare taxes. 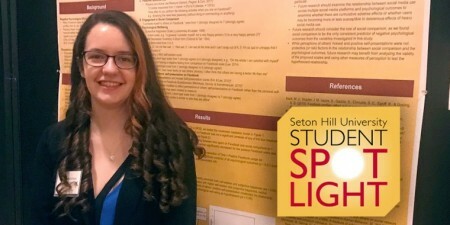 In 2018, four Seton Hill students volunteered. Two (including Emilee) worked directly with community members preparing taxes, and two served as “greeters” - helping people sign in and fill out their intake forms prior to sitting down with a volunteer. 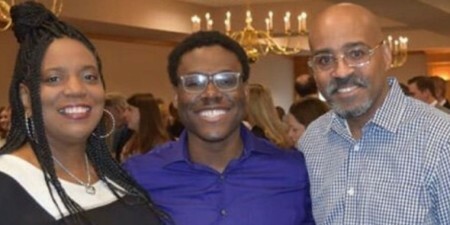 Robin Hypes, the Program Coordinator for Westmoreland Community Action, is also a Seton Hill student. She is studying hospitality and tourism with a minor in accounting. Marisa Valotta ’18, Seton Hill Creative Writing Major & Marketing Communication Intern contributed to this story. Find out more about Seton Hill’s Accounting and Hospitality & Tourism Programs.